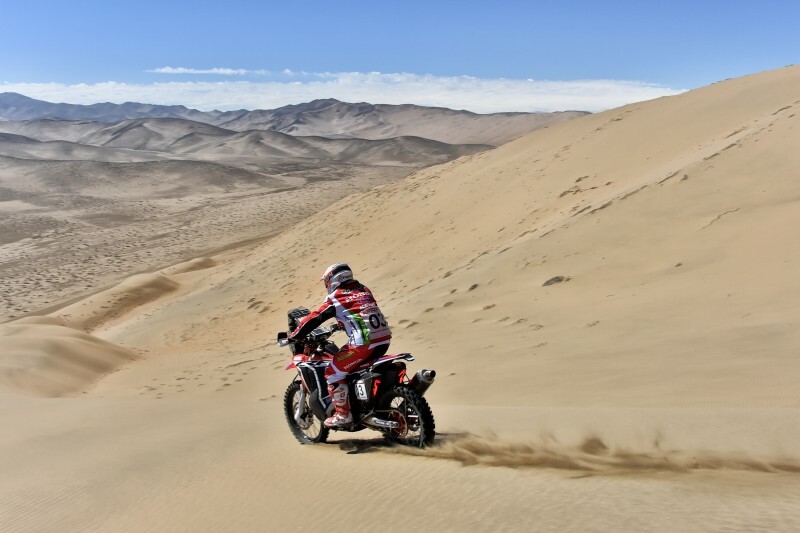 The riders from Team HRC have finished an important rally in preparation for the Dakar Rally 2017 – the Atacama Rally – with Argentinean rider Kevin Benavides on the rostrum, runner-up in the final stage. 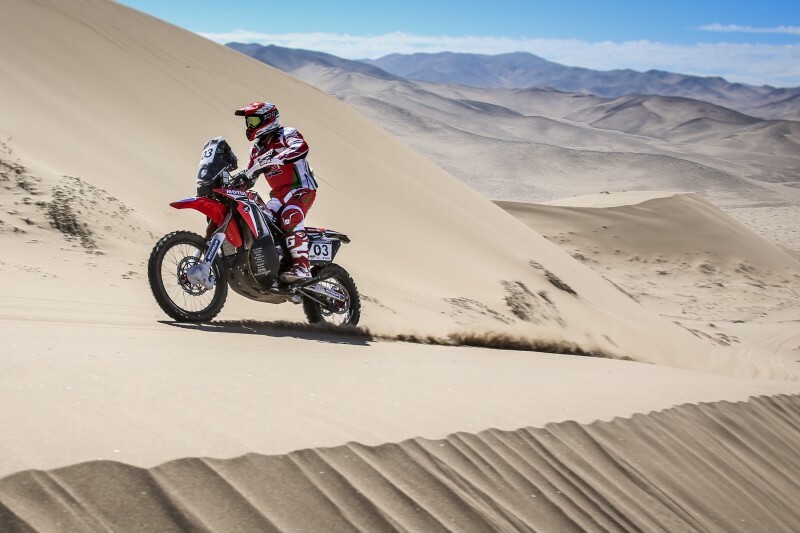 Kevin Benavides was the best finisher among the components of Team HRC with a podium finish in the Rally Atacama 2016 after a high-speed week in the Chilean desert. 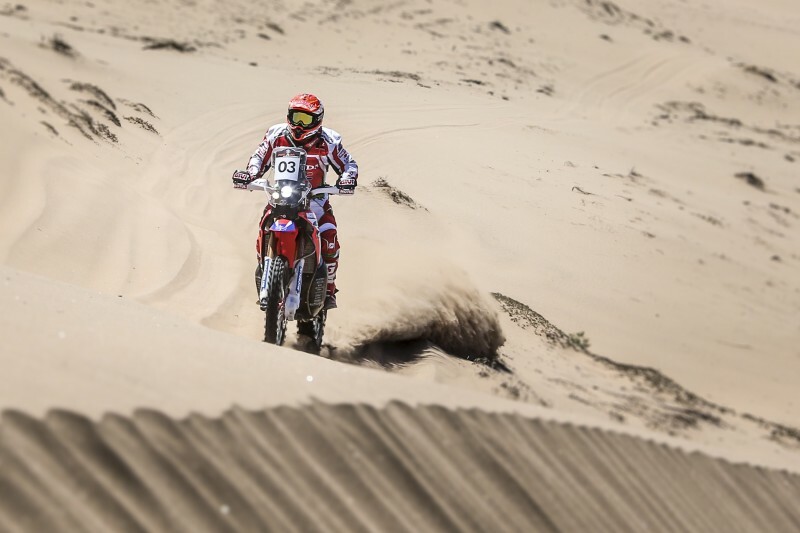 The Argentinean rider, on the Honda CRF450 RALLY, made it onto the podium after finishing second in the fifth and final stage in the dunes of Copiapó. 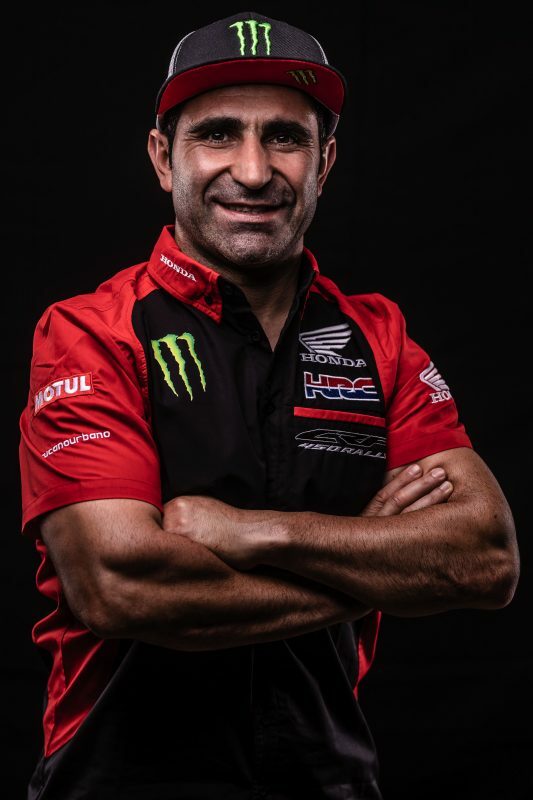 Teammate Paulo Gonçalves started out first after yesterday’s victory, but the final stage didn’t favour the Portuguese rider’s bid to retain yesterday’s third position in today’s final standings. 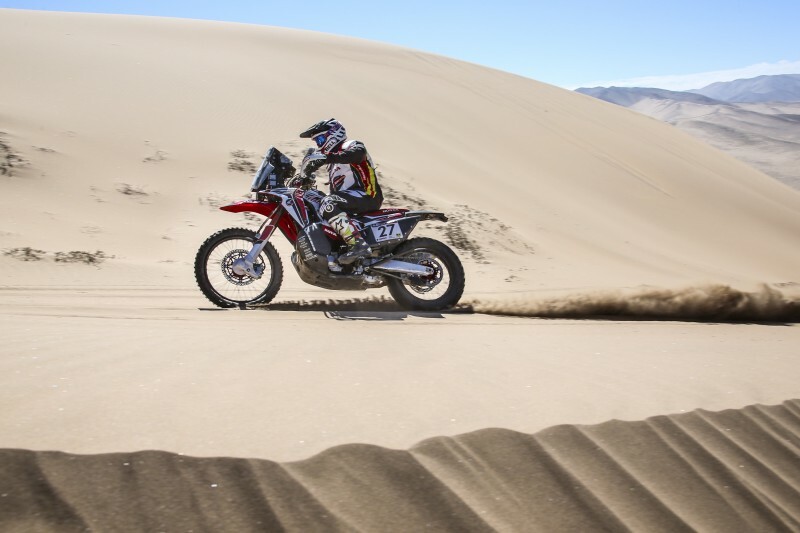 In spite of opening the track throughout most of the day, the rider saw how various adversaries closed in on him over the course of the stage. Paulo goes home with an overall fourth place after Benavides whittled down the two-minute gap between the stablemates. 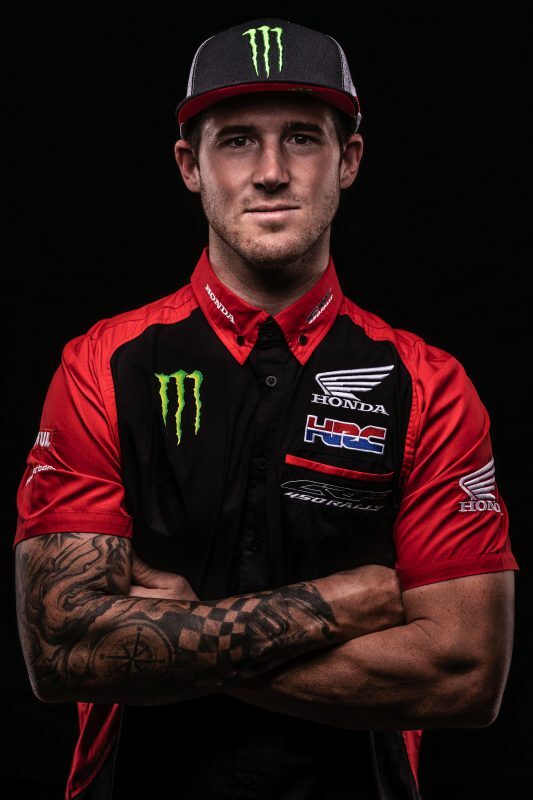 American rider Ricky Brabec wraps up another race with the Team HRC squad and continues to gain experience and hone his navigational skills on the Honda CRF450 RALLY. 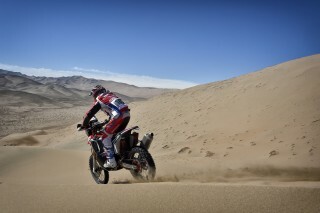 Ricky comes away from his maiden Atacama Rally with seventh overall position. Team Honda South America Rally Team also featured in this, the fourth date of the FIM Cross-Country Rallies World Championship with Argentinean Franco Caimi, who relied on the support of Team HRC. Caimi finished the rally just behind Brabec on the final table. We have finished another rally more. I have mixed feelings as I feel that I could have done better if it hadn’t been for the fall and the pain that it caused over the next couple of days. The important thing is the sensations that we come away with which are very good. Yesterday I won the stage and today I opened the track in the dunes and they only caught up with me two kilometres from the finish line. I feel as if I am improving. The difference isn’t so great. We’ve still got a couple of months work left ahead of us to work on things. 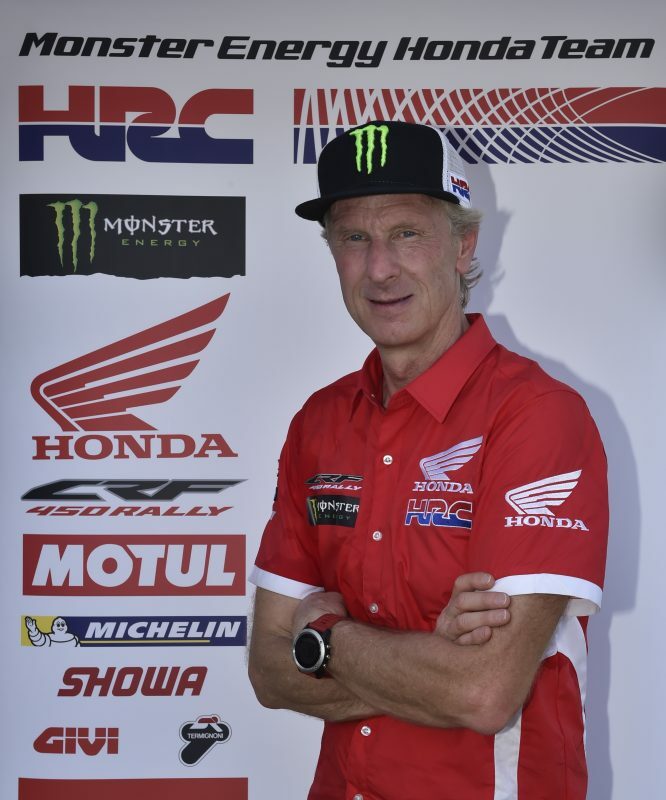 I have to congratulate Team HRC for the great work that they have done on the bike. I’m happy to have finished this rally in spite of the complications: a fall on the second day that damaged the navigation instrument panel and another one yesterday where I injured myself and lost some time. In spite of everything I think that I’ve shown good pace and those mistakes will give me something to contemplate and learn from. 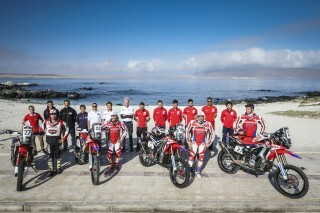 I’m feeling more and more comfortable with the bike and with the team. HRC have worked really long and hard and the results have been really good so I have to thank them very much. The final stage was good at full gas. 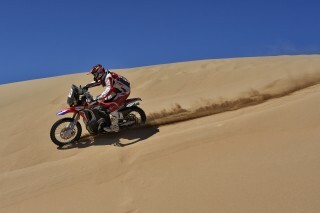 It was pretty sandy so I tried to ride my race. Overall the rally was good. It was a good learning experience. 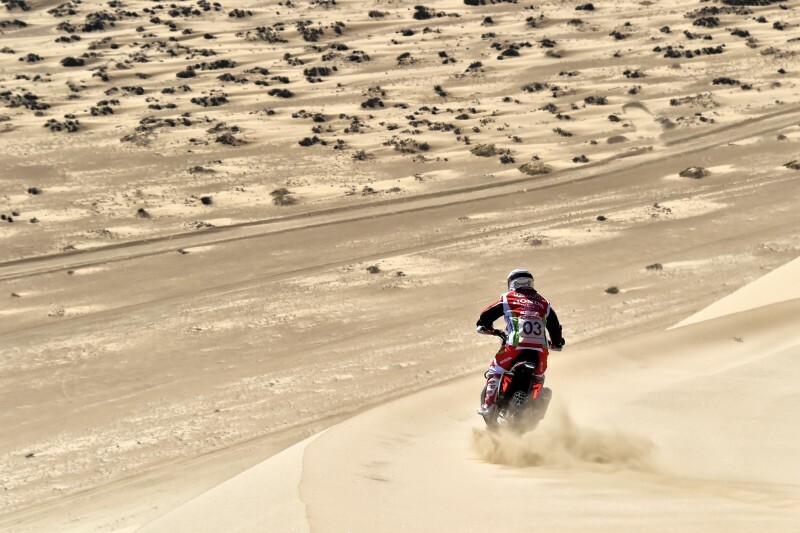 There was only one really tricky day and the rest of the days were full gas. This was a really fast rally. I don’t know how these guys can do it and ride so fast on these roads. 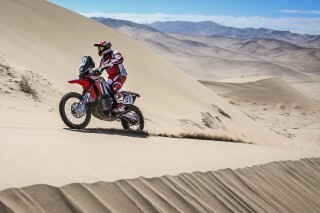 I’ll keep practicing and we’ll see where we are at for the Dakar, but I think that Honda is very solid has a really good chance with Kevin, Paulo and Joan this year. We have finished another rally and I think that it went well. All the riders made it through to the end. 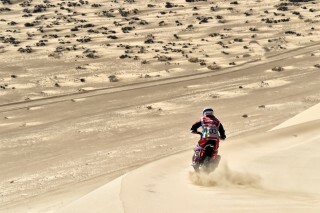 This was an important rally, but a difficult one with lots of desert, very high speeds and really good riders. The positions of our riders have been very good and would have been better were it not for a few falls. Luckily, no one was hurt which is the most important thing. 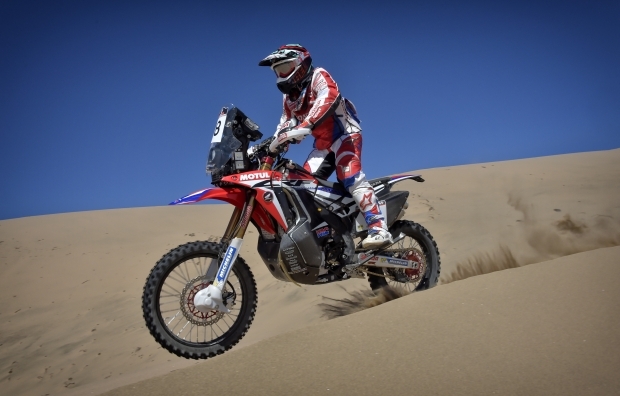 Benavides’ third place shows that he is constantly growing as a rally raid rider. Paulo is a real asset, very focused on the race, fast and steady. 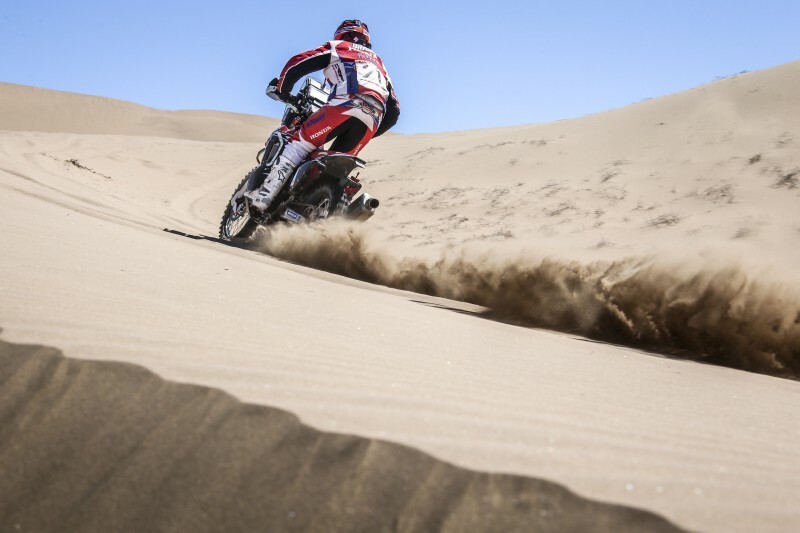 Ricky made his debut here at the Atacama Rally and we are satisfied that we brought him out here, which has been a step forward. The young team is growing and has done very well. 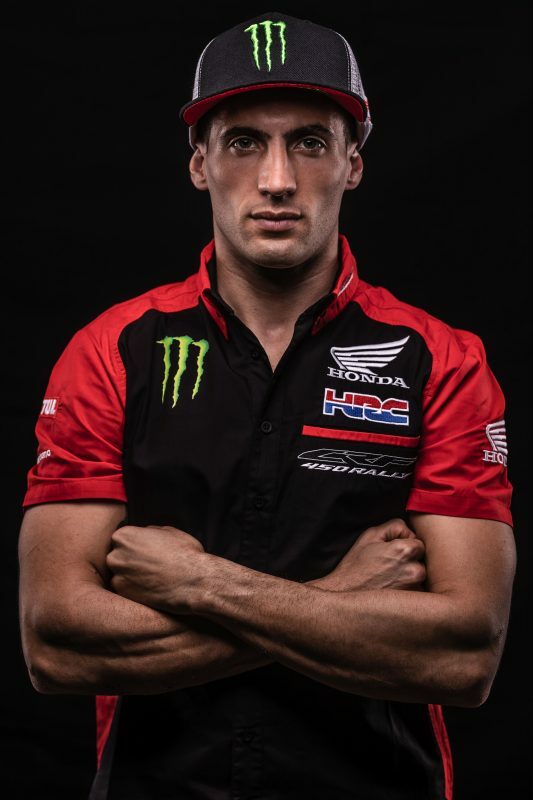 I would like to thank all at Honda Chile especially Fabio Mossini and all the staff at HRC who have helped out in this race. Thanks to all the fans and Honda followers throughout the world.